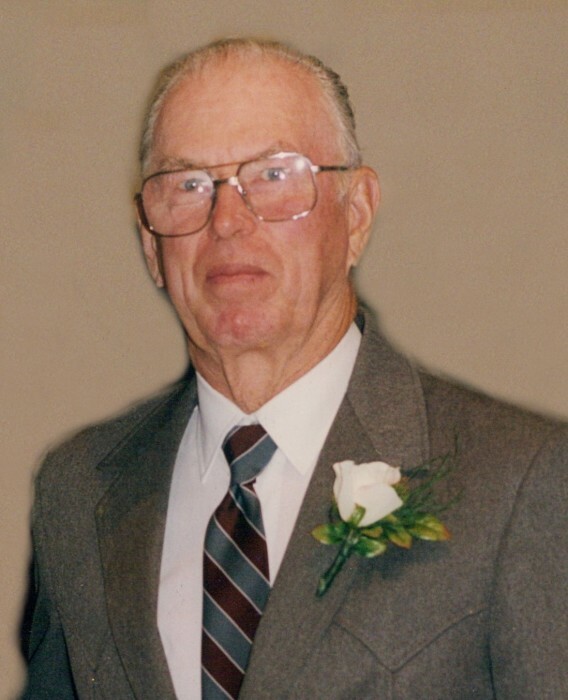 Herschel K. Morse, age 87, of Linn Grove, Iowa died Sunday, April 8, 2018, at the Cherokee Specialty Care at Cherokee. Funeral services will be held MONDAY, APRIL 16, 2018 at 1:00 p.m. at the Riverside Evangelical Free Church in Linn Grove. Burial will be in the Barnes Township Cemetery in Linn Grove. Visitation will take place Friday, April 13, 2018 from 5:00 to 7:00 p.m. at the Sliefert Funeral Home in Sioux Rapids. The Sliefert Funeral Home of Sioux Rapids, Iowa is in charge of arrangements. Herschel Keith Morse, the son of Howard Carlos and Lily Margaret (Ripperger) Morse was born on a farm near Gilmore City, Iowa on May 15, 1930. He began his education in a one room schoolhouse, Weaver Township No. 5, with one teacher for all eight grades. He graduated from the Des Moines Township School of rural Rolfe, Iowa in 1948. Herschel farmed with his parents until January 18, 1951, when he enlisted in the United States Marine Corps. He faithfully served his country during the Korean War and most of his time in the service was spent on the front lines. Herschel was honorably discharged on January 17, 1954. Herschel was united in marriage to Janice Weber on July 19, 1953 and to this union four children were born: Shirley, Keith, Mike and Kathy. Following his military service, he farmed near Bloomfield, Iowa for two years. In 1956, he drove a semi-truck for Skov Trucking when he moved to Rembrandt, Iowa. Four years later, Herschel became a carpenter, for which he will greatly be remembered for. Herschel and Janice later divorced. On June 3, 1978, Herschel was united in marriage to Kay Marie Decker at Linn Grove, Iowa and Kay was the mother of one son, Larry. Their married lifetime was spent in the Linn Grove community. The past couple of years Herschel resided at the Cherokee Villa (Cherokee Specialty Care). During his life, Herschel had been a volunteer fireman for twelve years and belonged to the American Legion and VFW. Hobbies of Herschel’s included gardening, watching the birds and deer in his yard, bowling and dancing, in his younger years. He also enjoyed reading and putting together jigsaw puzzles. Herschel’s favorite music was country and polka. He will be lovingly remembered by his children: Shirley (Joe) Dodd and Kathy Chindlund, all of Cherokee, Iowa; eight grandchildren; sixteen great grandchildren; brothers: Garmon (Judy) Morse and Jerry Morse all of Lakefield, Minnesota; sister, Bev Horn of Drakesville, Iowa; nieces; nephews; other extended family and many lifelong friends. In heaven, Herschel is reunited with his parents, Howard and Lily; his wives: Janice and Kay; two sons: Keith and Mike; sister, Colleen; along with other relatives and friends.